The single best team book on the market in my view. I haven't had the time to talk about Uncanny Avengers but with this, possibly the last issue, hopefully not, I have to commend the creative team on an outsandingly fine issue and a wonderfully upbeat closing scene. Uncanny Avengers has always been blessed with fine talent, some are relatively unknown, but this continued level of quality is the mark of an unusual proficient editorial team. Tom Brevoort has been at the helm of many a fine production for Marvel and while editors rarely get mentioned in despatches I would like to commend him here for his work on both the Avengers and in particular this very book. This is an installment of the Avengers that is concerned with closure, of taking stock before a pause in the greater story and an uncertain future, and writer Jim Zud pitches the balance perfectly. A welcome opening in the park between Wanda and Simon in the autumnal light is a fine backdrop to a relationship that has in need a pause in itself. 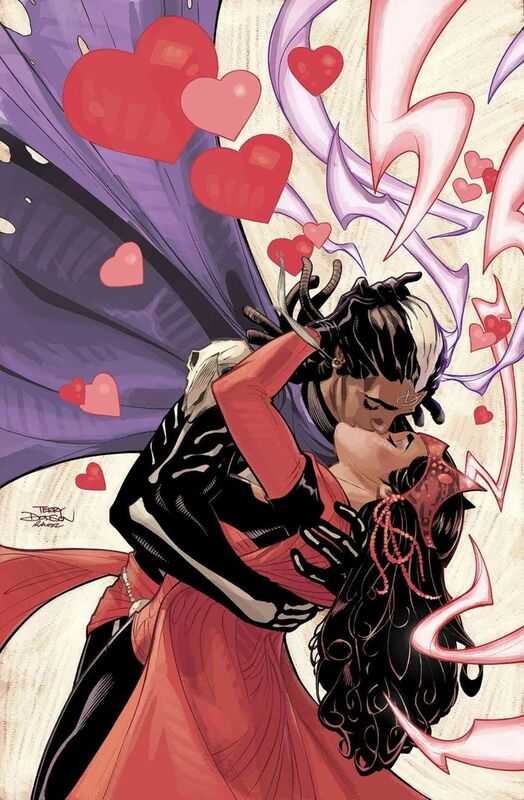 Wanda's need for independence and a sense of personal control over her decisions has been a theme well developed over the last three years, whether this is truly the end between this couple or just a long pause onlyt he future will yell, but it does fit with the uncertain nature of The Uncanny Avengers team as a whole. Holding it all together through these last years has been the surprisingly resilient and adept figure of X-Man Rogue, journeying from the groups disruptive and troublesome voice of dissent to gradually being forced into the position of having to decide how much this group and its purpose actually means to her. It has been aneat inversion of her own prejudices on the whole, the critical Mutant voice in a team branded as being intended as a bridge-point between the worlds of Mutant and human has turned out to be a thoroughly devout believer in the groups purpose and aims and has proven herself a capable guiding light for the groups members. It's quite unusual in modern comics to experience a trajectory for a character in a team book that has felt so natural as this. In her final meeting with the restored Captain America and a clearing of the air between the two it is entirely fitting that Rogue makes a point of personal principle to have her one last say in the groups future and where it is she stands in relation to any invitation to join the ranks of the greater Avengers organisation - she will do it her way. If at all. And so into another frothy mega-crossover-that-will-change-everything. Does anyone care? Not me personally. The only interest for me is whether this book will come out of all of that noise and static with a future.... here's hoping it does.